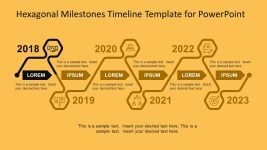 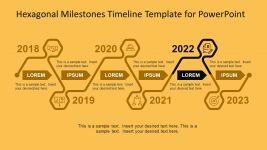 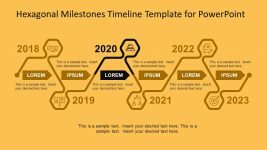 The Cool Timeline Template Presentation of hexagonal milestones in PowerPoint has six amazing stages of infographics. 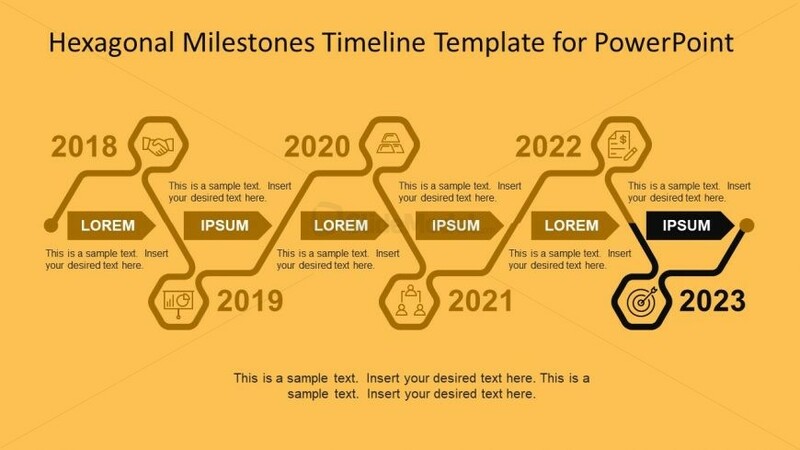 The last milestone in the hexagonal path shows a dartboard with arrow. 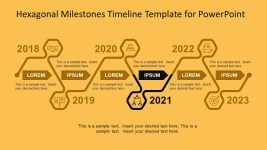 It depicts the idea of achieving targets successfully. 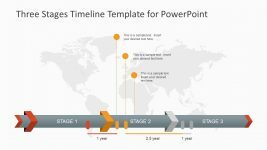 The PowerPoint timeline template shows the small circular icon at the end to illustrate the stopping point. 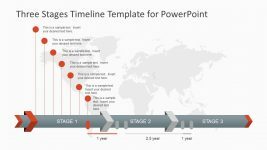 However, the customization feature enables users to make more phases and timelines using the available objects. 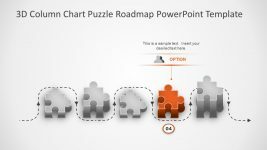 For instance, duplicate a hexagon shape path from top and adjust it alongside the path as new segment. 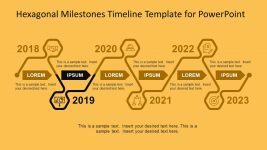 Similarly, edit the textual content including the year titles according to the presentation.